we recognize the importance of a great community and that's why we dedicate a lot of our time and resources to bettering the neighborhoods we live and work in. Take a look below and browse through the various community events we are proud to host and partner with. We hope you will join us for our next event! 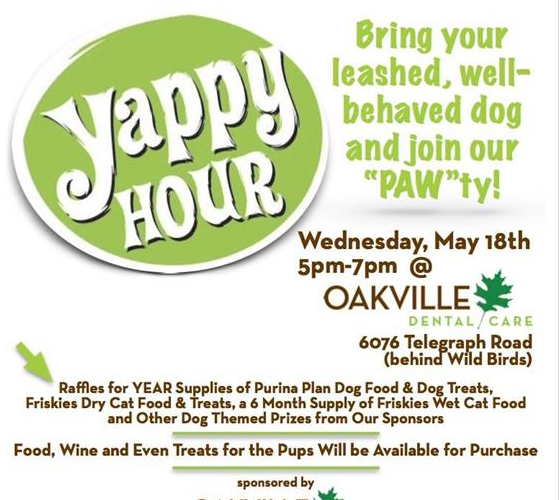 Join us for a Yappy Hour at Oakville Dental Care and feel free to bring your owners too! 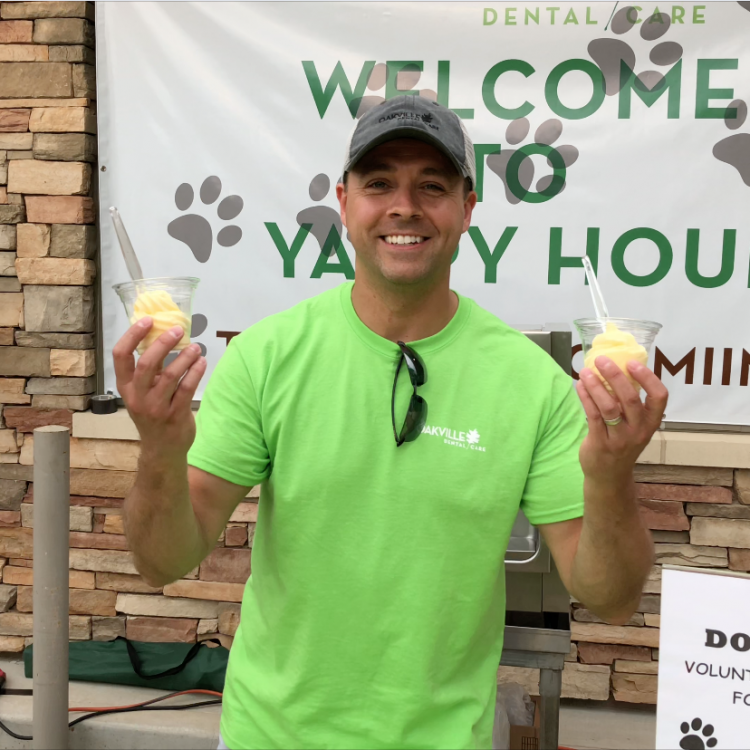 Our annual event benefits local animal shelters such as Stray Rescue of St. Louis, Gateway 4 Paws, and Open Door Animal Sanctuary. We ask our guests to bring items for donation to these shelters and they can be entered into a drawing with the chance to win GREAT prizes thanks to our wonderful sponsors. 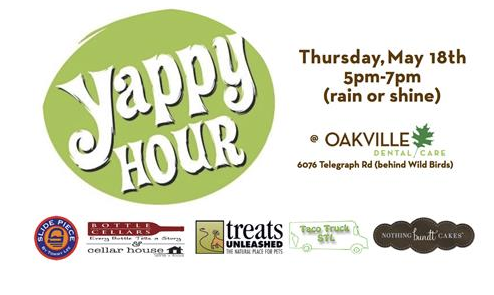 The night is complete with Local, Live Entertainment along with food trucks and local liquor establishments selling food and wine throughout the event! Interested in pitching in for a great cause next year? Here's a list of commonly donated items. Thank you for your support of animals in need! We hope you have a howling good time! 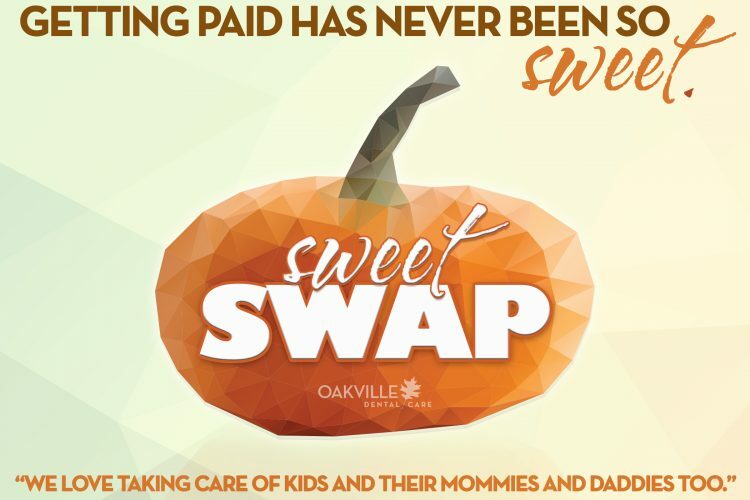 Every October, Oakville Dental Care brings you SWEET SWAP! 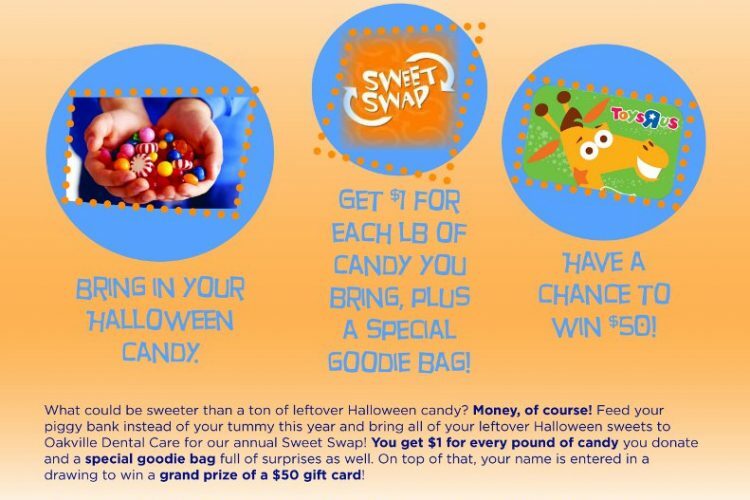 Bring your Halloween candy into the office during the week following Halloween, and you will get $1 for each pound of donated, unopened candy. Plus, you’ll be entered to win a $50 Gift Card! All candy that we receive will be sent to the Troops overseas. 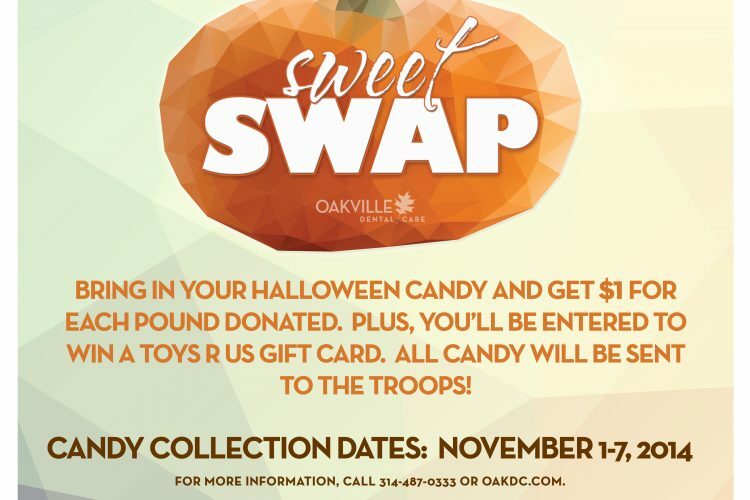 The candy allows the troops to bridge camaraderie with local children and families and also gives them a sense of home. Getting paid has never been so sweet!